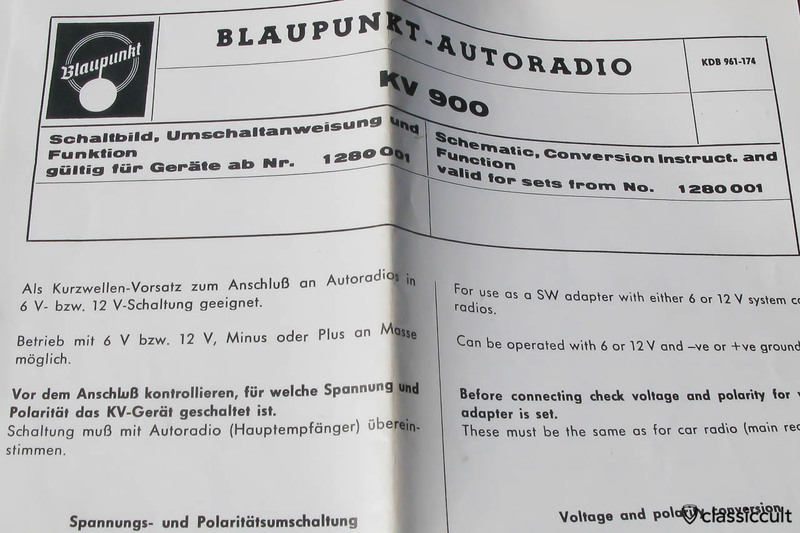 The Blaupunkt Short Wave Adapter is a vintage car radio accessory for Porsche and Volkswagen. The main Blaupunkt car radio is through this converter a Shortwave World Band Receiver. WOW! 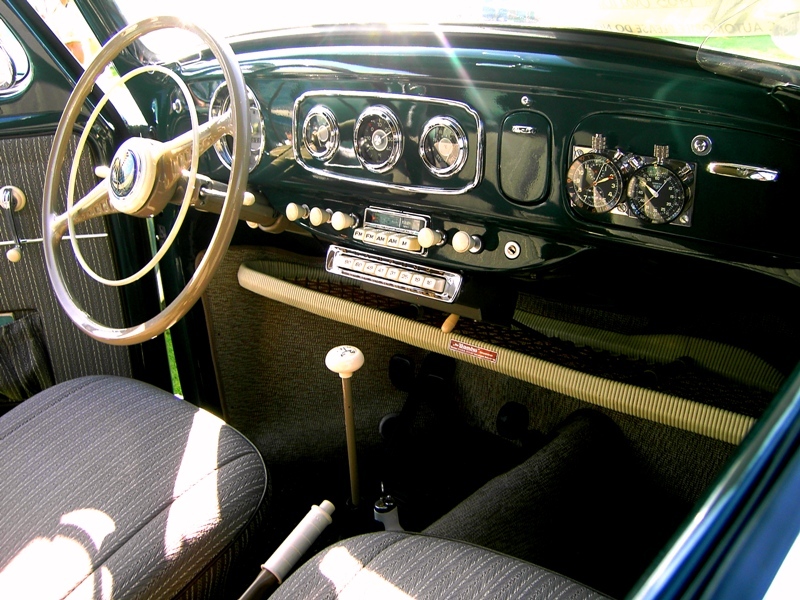 The flat Blaupunkt Short Wave Adapter is attached under the dashboard. It was available with a chrome face plate and with white or black knobs. Shortwave reception is only possible via the MW band (M knob) of the Blaupunkt Radio. 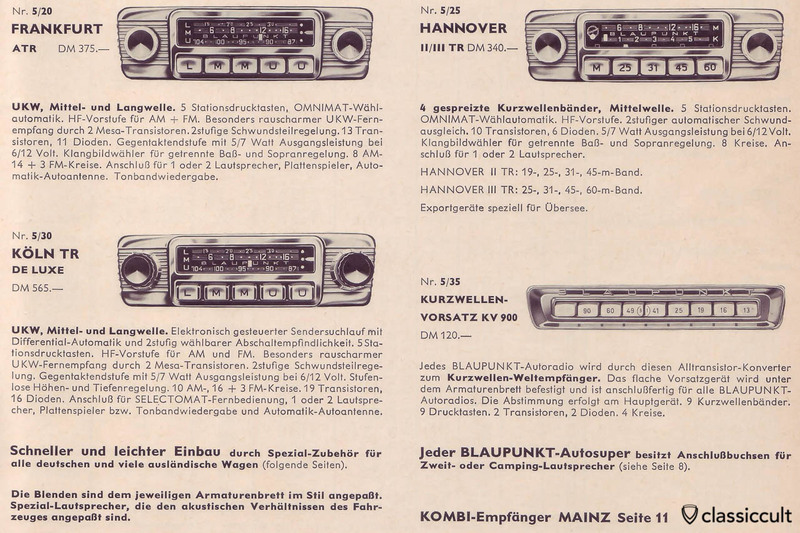 The Blaupunkt Short Wave works with 6V and 12V. 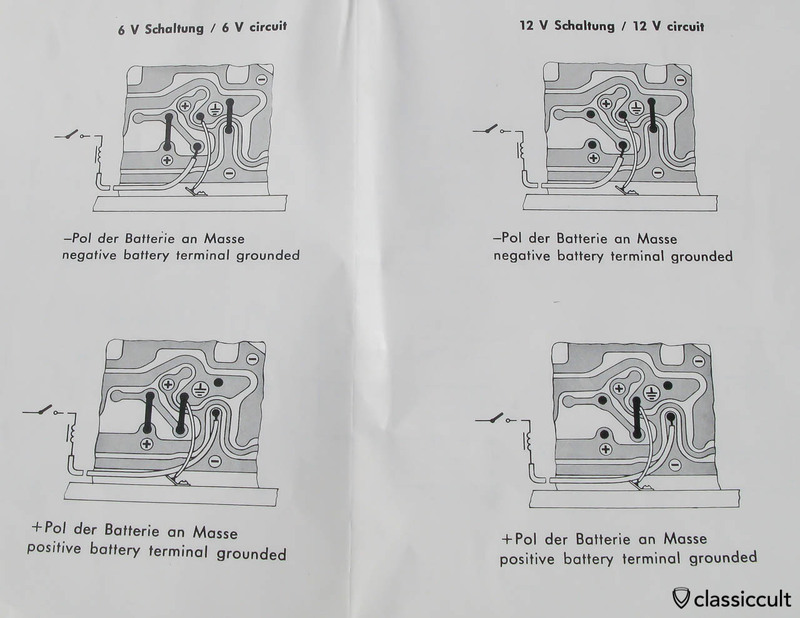 Before connecting check voltage and polarity of your short wave adapter! See Short Wave KV 900 6V / 12V circuit plan below. 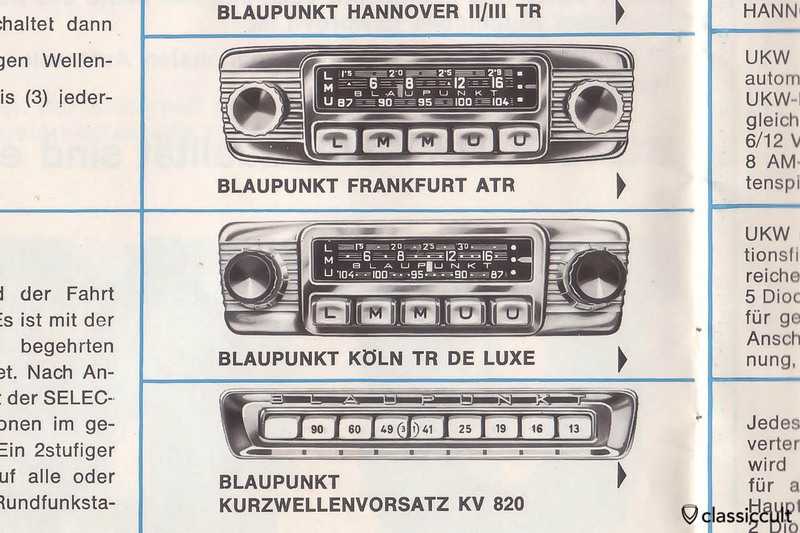 The Blaupunkt Short Wave can be connected to Blaupunkt Frankfurt ATR, Köln Cologne TR DELUXE, Hannover TR, Bremen ATR, Hamburg, ATR, Essen ATR and Stuttgart ATR. 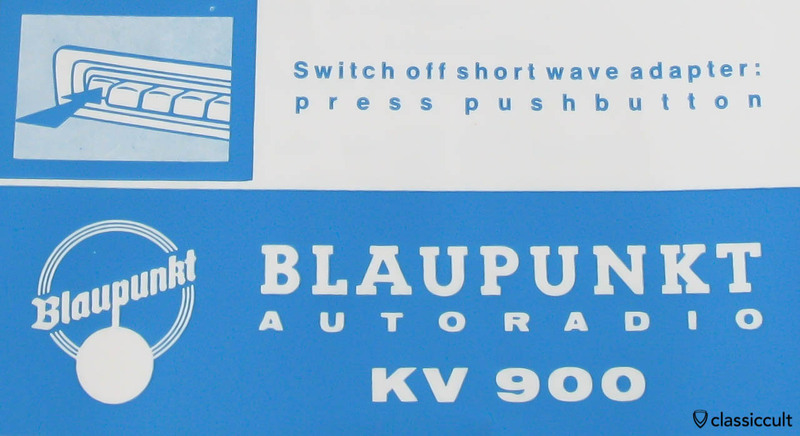 Blaupunkt Short Wave Autoradio KV 820 in Blaupunkt car radio brochure 1963. 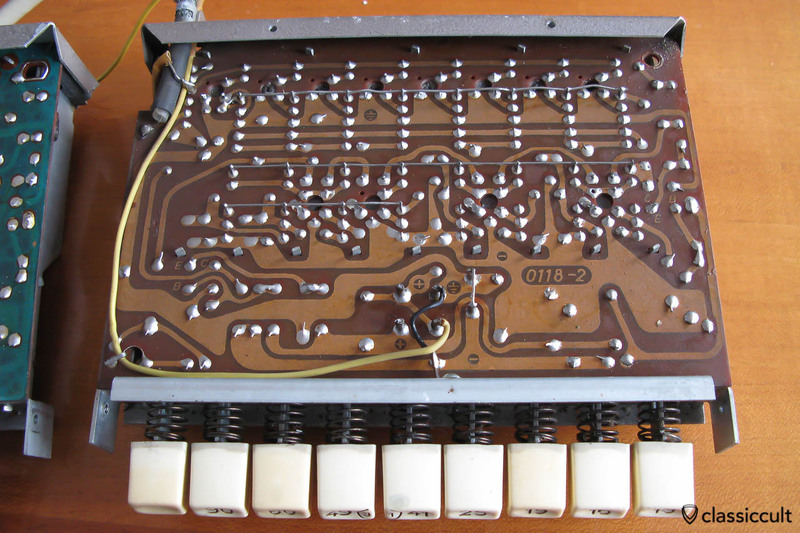 About the same like KV 900.